yikes!!! this is so darn cute!!!!! You're not alone!! Don't even get me NEAR a clown or I will have a MELTDOWN!! lol!!! I loveeeeeeeeeeee your card!! LOVING the colors and the burlap piece!!! He's so cute! I love how you used the large word print paper behind him. I find those papers so tough to use. I used to find those Cabbage Patch kids slightly disturbing. How fun! I love word play like that! This Post Made Me Crack Up Lisa! Your Card Is Adorable! I'mGood With Gnomes, But Terrified Of Clowns! LOL. You crack me up. How can you go wrong with the travel gnome. Love the card. Very fun. Ohhhh he's adorable!! 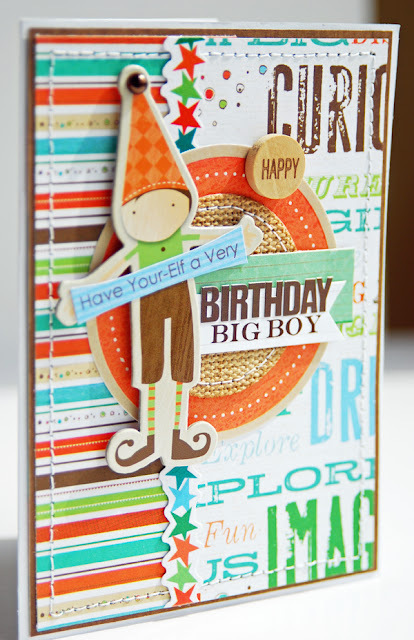 Really really loving your card! You're such a lucky girl being sponsored by LYB! So cute! 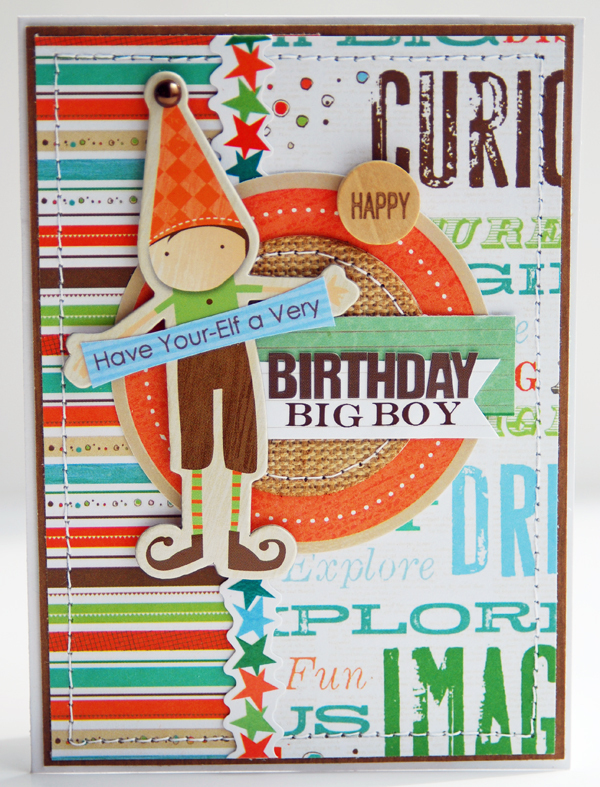 I love the little elf and the round piece in the center, great textures, a fun boy card! Too cute and I love the way you did the sentiment on this card, Lisa! Fears...of using my pretty paper, teehee. This elf is adorable, gorgeous card too! !